Recently, someone told me that last summer she planted a small evergreen shrub in her little front yard and was concerned about possible shrub damage from shoveling snow from the sidewalk onto the yard. She said that this was the only place she could put the snow, and wanted to know how to protect the shrub. During the winter, snow acting much like mulch, provides a protective shield for plants and shrubs, keeping the ground at an even temperature. 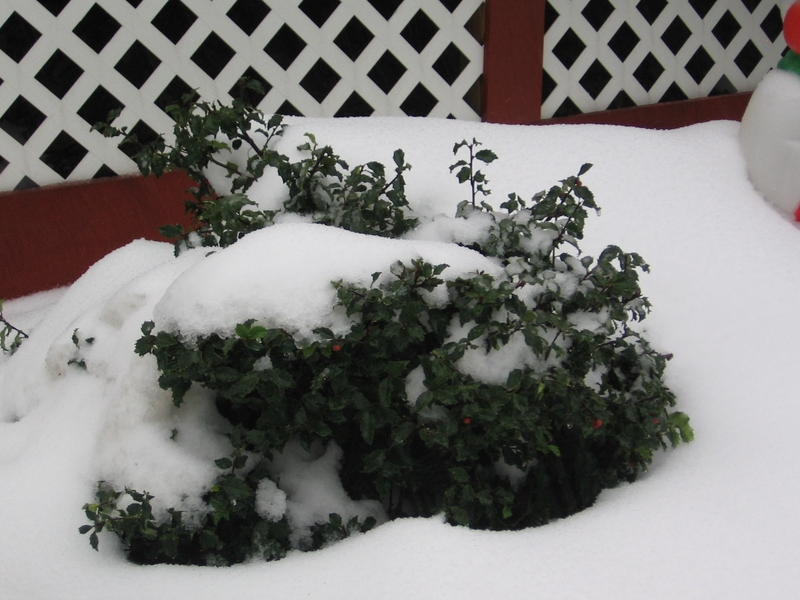 But two or more feet of snow piled on top of the shrub can break some of its branches or crush the plant. Damage such as this can weaken the hardiness of the shrub. New transplants with late season growth are very susceptible. There will be less leaf cover in the spring, reducing the carbohydrates available to the roots. And, branch breakage wounds can be victim to insects, decay and fungi. Before a heavy snow, prop pine branches or Christmas tree greens over or leaning against the shrub to catch the snow. You can also build a barrier or screen of burlap or similar material around and over the shrub for protection. Both methods require some openings to allow access for light and air. If heavy deep snow has caught you by surprise before you’ve had a chance to protect the shrub, do not shovel out the snow now or you may injure the evergreen. Just, let the snow melt naturally, and hopefully the snow will have protected rather than damaged it.